Our professional team guarantees you the finest service in Cedar Park, top-quality professional technicians, and lower prices than you'll find anywhere else. Check out some of our latest projects by scrolling down below! 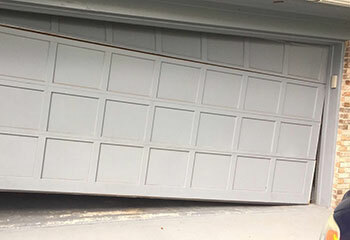 Customer Issue: The customer’s garage door would not open, but the opener seemed to be fine. Our Solution: After double-checking the automatic door’s self diagnostic lights to make sure the issue wasn’t with the opener, our technicians inspected the door and found that the safety lock was jammed in place. Some work with the power tools, followed by cleaning and lubrication, restored its mobility. Customer Issue: Wanted a wall mounted opener. 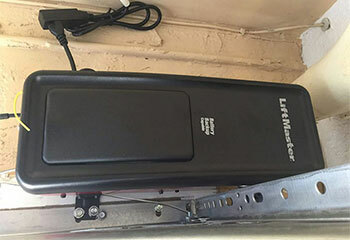 Our Solution: Our technicians installed the LiftMaster 8500W direct drive opener, which is a space saving model that minimizes noise and vibration because it is mounted on the wall as opposed to the ceiling. The motor unit came with all the newest technology including battery backup and home connectivity features. Customer Issue: Needed a door for a new garage. 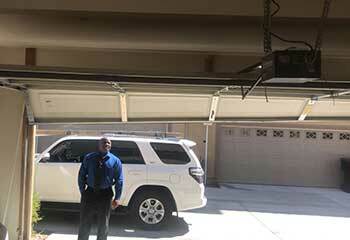 Our Solution: Our technicians inspected the new garage and the layout of the house and discussed the preferences of the customer and helped him arrive at a decision. 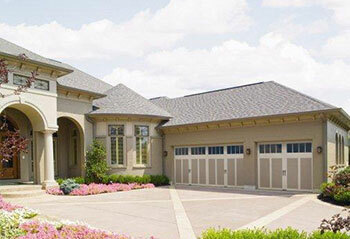 We then installed an Almond colored Long Panel garage door from the Amarr Hillcrest collection, which is made from insulated and durable low-maintenance steel. Customer Issue: Rollers got out of the track. Our Solution: Our technicians noticed that the tracks were out of alignment, which caused a few rollers to slide out. We used a level to check the position of the sections and carefully adjusted the brackets accordingly. We then reinserted the rollers to their correct place and repaired the slight bending that occurred.